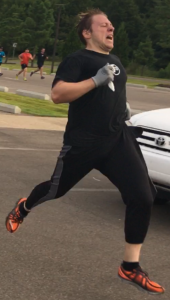 I’ve been involved with F3 in three different Regions: Knoxville, Chattanooga, and Memphis. This is the first time I’ve been in one place for a whole year. 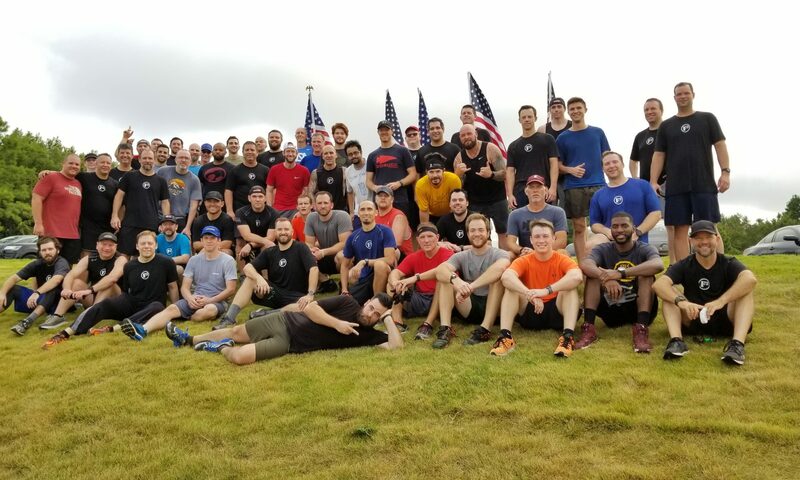 I’ve Posted with the Men of F3 Memphis in rain, sleet, snow, extreme heat, and bitter cold; early in the morning and late at night; for breakfast, lunch, and supper. I just EH and Post, but somehow we’ve grown to cover the city of Memphis and every major suburb in Shelby County. To God be the glory, and to Memphis Men be the T-claps! 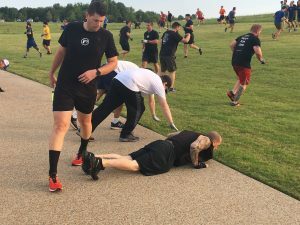 Prepping for this workout made me appreciate the steady Leadership I’ve seen from other F3 Men: Dredd, OBT, Mini Me, Cap’n Crunch, Proton, Woodshack, Ratchet, P-Nut, Angus, Bagger Vance, etc. Those guys made it easy to remember that it’s not about me (IM3). That’s the first lesson of being a Workout Q. 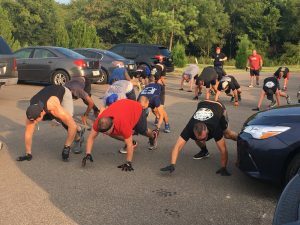 Leading 50+ Men in a sixty-minute workout isn’t easy. There’s so much room for failure, so many ways I could look foolish, that I was anxious about putting pen to Weinke. But it’s not about me. 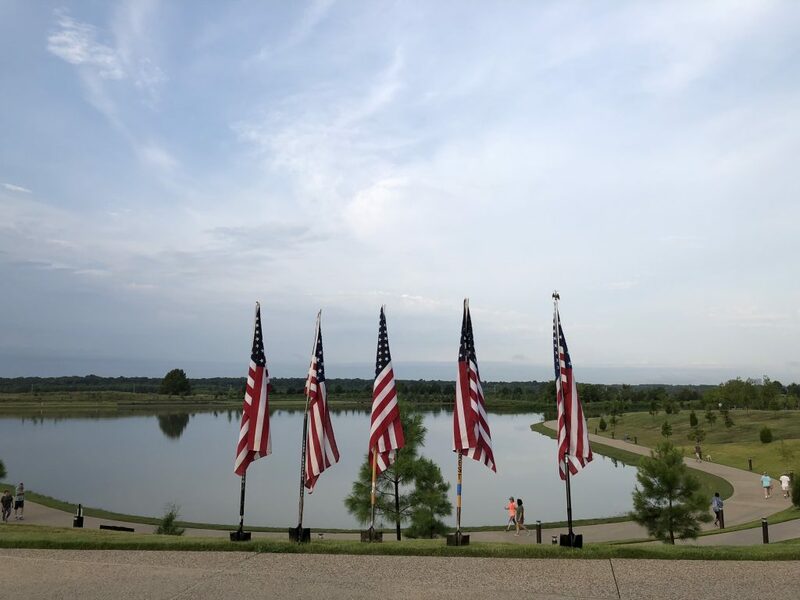 If there’s anything F3 teaches us, it’s that. Find a partner. While moseying to hill, find out your partner’s (A) hometown and (B) favorite breakfast food. Flutter Kicks while you wait! Divide into two groups based on partner’s favorite breakfast food: savory over here, sweet over there. I made a few adjustments to make the groups relatively even in number. – Cheesesteak started singing Sweet Caroline during this hold, because he’s a yankee. When I remarked that he was a yankee, he thought he was correcting me by pointing out that song’s popularity in Boston. Only a yankee would not know that Bostonians are yankees. In the parking lot at the Mothership, there are concrete pads that jut out to form a sort of sidewalk for pedestrians. They roughly divide the length of the parking lot into thirds, which was suitable for my purposes. 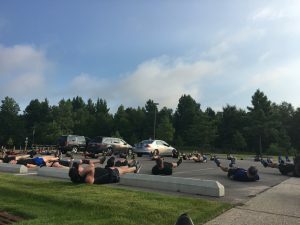 This was a bit messy, both because of the size of the Group and because I use phrases that could reasonably be misconstrued as directions to begin sprinting (e.g., “Let’s go!”) to exhort the PAX. We made it. Orange Julius pulled a hammy. BOM: After Cain killed Abel, God asked Cain where his slain brother was. Cain’s sardonic reply: “Am I my brother’s keeper?” The rest of the Bible and the course of human history tells us that, if we are going to make it, each of us is our brother’s keeper. 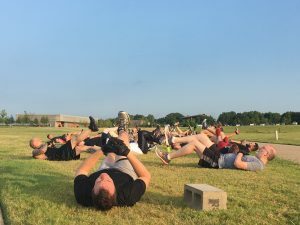 Moleskin: Fifty-three Men showed up to celebrate a whole year of F3 Memphis. We picked up a few more along the way. There’s no stopping us now! Thankful for your steadiness and grumpiness when necessary!